The village of Grindleford is often overshadowed by its larger neighbour, Hathersage, but it has a lot to offer the visitor. Overlooked by the wild moorland of Eyam Moor to the west and the impressive edifice of Froggatt Edge to the east, it is situated in a particularly beautiful part of the Hope Valley. 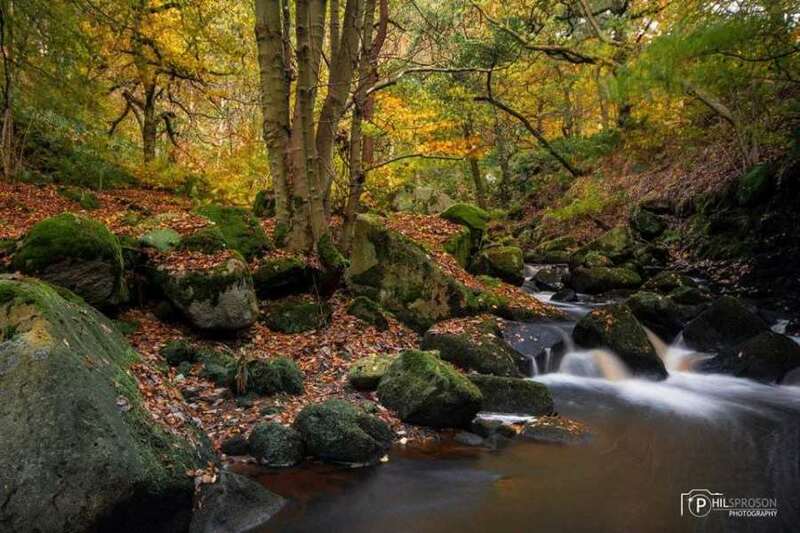 The spectacular Padley Gorge also lies very close to Grindleford, where the River Derwent rushes through stunning areas of woodland. Grindleford is a new parish, formed in 1987, when the small settlements of Eyam Woodlands, Stoke, Nether Padley and Upper Padley were merged together. Because of this it can appear rather disjointed, with stretches between areas of housing. Grindleford is only a small village but it boasts two great pubs, the Sir William and the Maynard Hotel, both of which serve excellent food. The Sir William also has a lovely terraced garden. Grindleford also has two wonderful cafes. 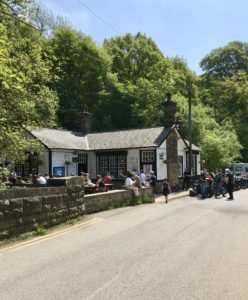 The Grindleford Station Café is a legendary establishment that has been run by the same family for 45 years. It sells huge portions of honest, good quality food, and its chip butties and pints of tea are rightly famous. Also worth a visit is the Grindleford Shop and Café in St Helen’s Church. This is a community-run establishment, set up by a band of local volunteers who came together to save their village shop when it was threatened with closure. It sells a wide range of local produce. This is wonderful countryside for outdoor enthusiasts, with trails from every part of the village. The wooded river valley of Padley Gorge is especially beautiful, and leads visitors on to the expanses of the National Trust estate at Longshaw. In the other direction, the beautiful hills above the village lead on to the wild, heather-clad moorland of Eyam Moor. Climbers will love the challenges presented by the gritstone escarpment of Froggatt Edge, leading on to Curbar Edge and Baslow Edge, and mountain bike riders will enjoy the trails over those same Edges on to Big Moor, where large herds of wild red deer can be spotted (and heard) in the autumn. Only just outside of the village, a little way beyond the railway station, lies Padley Chapel. 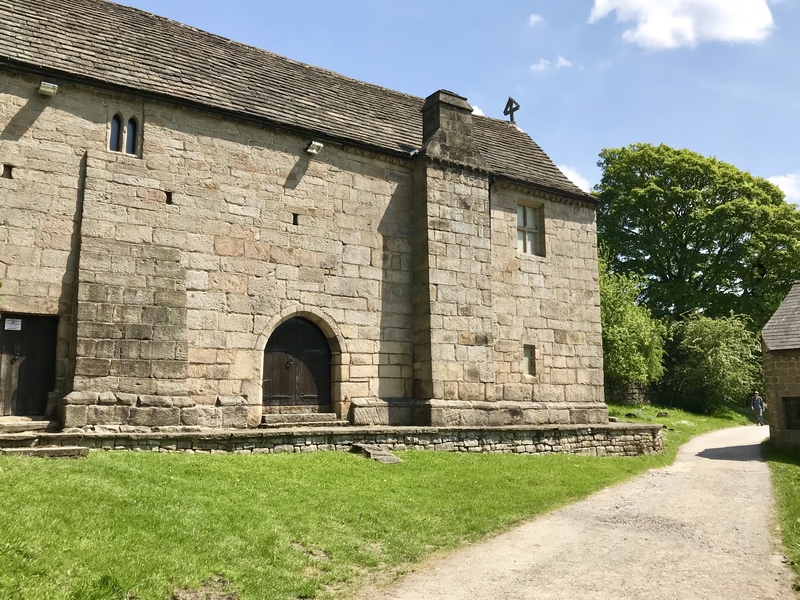 This Grade I listed building, managed by English Heritage, is all that remains of a large manor house, Padley Hall, dating back to the 16th Century. The ruins of some sections of the Hall can still be seen in the Chapel’s grounds. 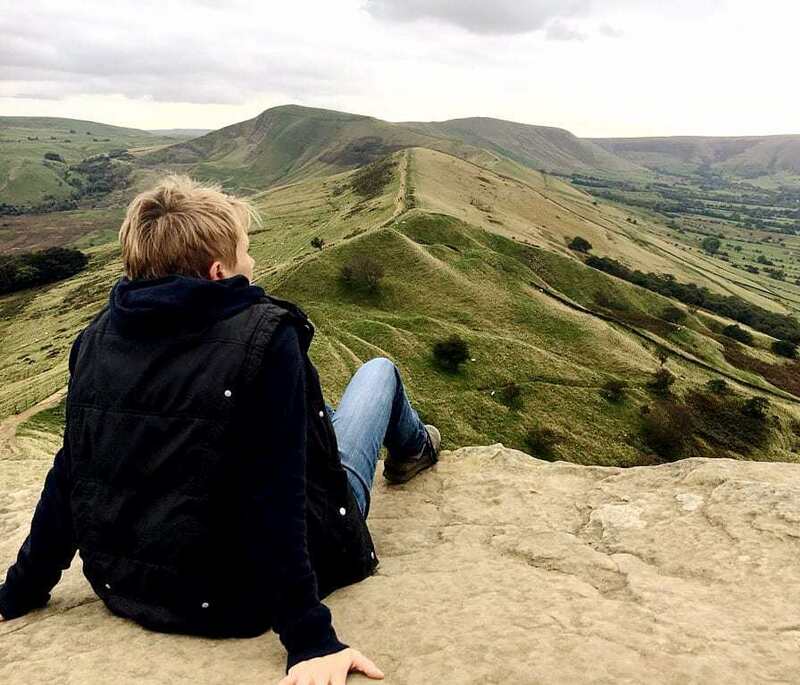 For a lovely walk from Hathersage to Grindleford and back, have a look HERE.